Pioneers in the industry, we offer pure honey, raw honey and pasteurized honey from India. Supported by rich industry experience and knowledge, we are involved in providing our esteemed clients Pure Honey. The offered honey is made by using of excellent quality ingredients and natural methodology in accordance with the set norms. This honey is tested by quality controllers in order to assure its quality from our end. 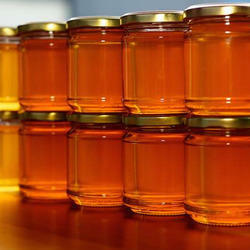 Offered honey is provided in diverse quantity with seal packed options as per the requirements of customers. Raw honey is one of purest and unprocessed form of honey that contains live enzymes, pollens and many more natural materials of honey that the bees try to put in. This raw honey offered by us is highly available in pure form since no filtering or heating is done. 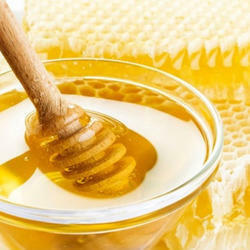 All the natural ingredients present in the honey is retained to the maximum. 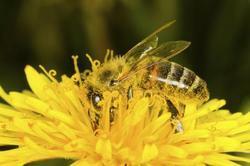 The taste and flavor of raw honey is based on different varieties of herbs and flowers of wild type the bees choose. Raw honey will crystallize over time, small crystals of white layer will be formed along the sides. Backed with industrial experience we are able to offer a good quality of Pasteurized Honey. It has been heated in a pasteurization process which requires temperatures of 161 °F (72 °C) or higher. This kind of honey is highly prefered by the supermarkets as pasteurisation dissolves the seed crystals so it is less likely to granulate overtime. Supermarkets prefer pasteurized honey because it does not solidify, granulate or become cloudy for a long time and even if the storing conditions are not perfect. Looking for Pure Honey ?